There are a number of variations on the legend of the Four Thieves and how they survived the Black Plague. 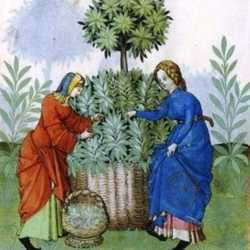 The common thread throughout the stories is an herbal mix that enabled these men to survive a pandemic that killed millions people in the mid 1300s. By all accounts, it was the worst pandemic in recorded history, but some, like the Four Thieves, survived and lived to tell the tale of how they did. The colorful stories of the Four Thieves (and all the variations) may be true or not, but they make a fine tale about surviving a plague and they hold some potential truths. The plague was known as the Great Pestilence or the Great Plague; later it was called the Black Death Plague and compared to the Asian Bubonic Plague. The variations of the story vary in time from the mid 1300s to the 1600s, and in location from Italy, France and England. It is true the Plague resurfaced over and over again during those many years, so any timeframe might also be true. The story I first heard many years ago was that the local magistrates needed men to haul away the rapidly accumulating dead bodies. It happened there were four thieves in prison who had been arrested for stealing from the homes of the dead, and they were conscripted to haul the bodies. One of the thieves had a mother who was an herbalist; she made an herbal vinegar the men used on a fabric handkerchief over their mouths and noses while they robbed the dead. She supplied more of the same as the thieves took on their assigned tasks. 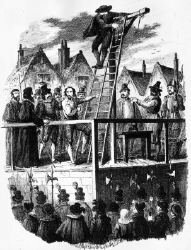 The men survived carting away dead and decaying bodies without catching the plague, and the magistrates took note. The magistrates offered them a deal: the thieves could hang for their crimes, or divulge their secret and go free. They gave up the recipe! 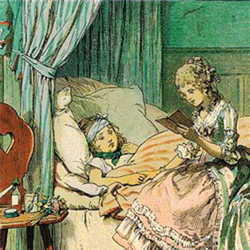 The tale continues to say that many others used the herbal vinegar and survived. 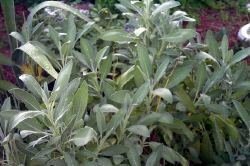 The recipe ingredients vary from tale to tale, but with today’s science we know that most of the herbs reportedly used are antifungal and antiseptic. 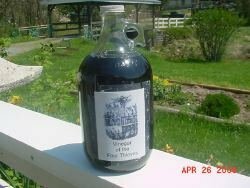 I know from personal experience that the Four Thieves recipe I use makes a fine insect repellent, and I make a new batch every spring to use on me and my pets. The recipe is for an insect repellant, and NOT to be taken internally as some of the recipe variations suggest. 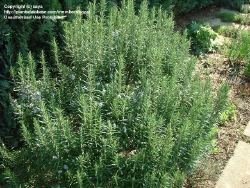 The recipe contains rosemary (Rosmarinus officinalis), rue or herb of grace (Ruta graveolens), garden sage (Salvia officinalis), lavender (Lavandula angustifolia), wormwood (Artemisia) and peppermint (Mentha x piperita), steeped in a base of raw, unpasteurized, fermented apple cider vinegar with added fresh garlic after the initial brewing. The recipe is below. Various other recipes include additions of thyme, lemon balm, meadowsweet, marjoram and juniper berries. Almost all of the many recipes contain the ingredients I use, plus other additions, but I stick with the ingredients common in most recipes. 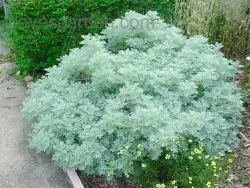 Rue is an herb that some people cannot grow because touching it causes a contact dermatitis. I’m lucky that I have grown it with no problems. 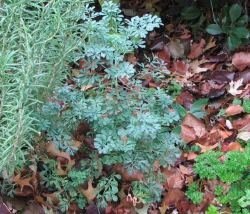 Rue is also known as the “herb of grace” because at one time priests used a branch of rue to sprinkle holy water during mass. 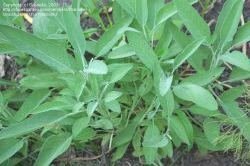 Rue is considered a bitter herb (taste a bit, it is edible, and it adds a bitter touch to salads somewhat like chicory and escarole do), as is wormwood. Lavender has the reputation of being antiseptic, anti-bacterial and anti-fungal. 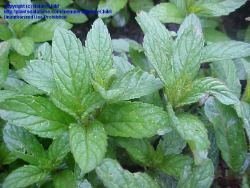 Mint was known to increase perspiration and help relieve fevers. 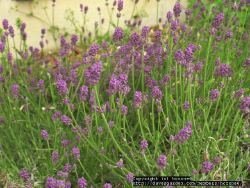 Lavender and mint both have a sweet flavor; if fresh, they contain more aromatic oils and they would mask the bitterness of rue and wormwood. These herbs are steeped in fermented, raw apple cider vinegar. Fermented vinegar is known to contain trace minerals, beneficial bacteria and enzymes. It is also high in potassium which helps to re-establish good bacteria in the intestinal tract. The final ingredient is fresh garlic. Louis Pasteur and Albert Schweizer both demonstrated that garlic could kill infectious germs. Garlic became known as “Russian penicillin” during WWII for treating wounds when antibiotics were not available. If you add up all the ingredients and their properties, it is quite possible that this vinegar concotion could affect a person’s resistance to disease. 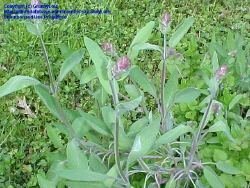 Certainly if we steep them together today and apply topically, they make a good natural insect repellant; better for our skin, the health of our animals when used on their fur, and better for the environment. And you don’t have to be a thief to use it! The other photos are by the author. To one quart of raw, unfiltered apple cider vinegar (I use Bragg’s) add 1 tablespoon each rosemary, rue, mint, sage, wormwood, and lavender. If possible, use fresh herbs and double the amounts. Cover container tightly (I prefer a clear glass container) and store in a cool location for 2 to 4 weeks. (Some recipes say to place in the sun to steep. 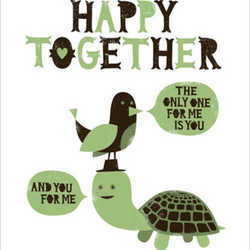 I think it’s a matter of preference and convenience.) Strain out the herbs, add several crushed cloves of garlic and steep for an additional week or so. Strain out the garlic, cap tightly and store in a cool location. Use a plastic cap if you can; the vinegar fumes will eventually eat through a metal cap. To use on animals: dilution is optional, use up to 1/2 water depending on the animal fur; place in a spray bottle and lightly spray the fur to discourage ticks and fleas. Unfortunately, it won’t prevent hitch-hikers (burrs) in their fur! To use on humans: Mix the herbal vinegar with an equal amount of water to avoid stinging the skin. Spray your exposed skin and/or your pants cuffs, shoes and socks to prevent insects. You can wet a handkerchief with the vinegar and carry it in a small plastic bag to use as a wipe occasionally when working around mosquitoes and other biting insects.